On the off chance that you've been living under a rock and haven't seen it yet, here's the 2nd trailer for Guy Ritchie's SHERLOCK HOLMES with Robert Downey Jr., Jude Law and Rachel McAdams. The film is being released theatrically on December 25th 2009 (Christmas Day). Coming to Region 1 (North America) DVD on October 20, 2009 is a 3-disc boxed set from Synergy Entertainment called SHERLOCK HOLMES: THE ARCHIVE COLLECTION. While a number of the pieces collected here will be familiar to folks who picked up a couple compilation videos by Video Yesteryear in the 1980s or a later retread called Sherlock Holmes: The Early Years, this does contain a few rarities first seeing the light of day in this package. Most noteworthy is Sting of Death with Boris Karloff. This was an adaptation of H.F. Heard's novel A TASTE FOR HONEY which aired on February 22, 1955 on ABC-TV as part of "The Elgin Hour" and hasn't been available for viewing ever since - except for prints in film museums. While I don't expect much in the way of decent film quality from Synergy Entertainment, it should be better than the old vhs packages I mentioned previously. The full contents are listed below. Sherlock Holmes' Fatal Hour - Arthur Wontner, 1931. Lost in Limehouse - Olaf Hytten as Sheerluck Jones, 1933. Limejuice Mystery - Herlock Sholmes marionettes, 1930. Sting of Death - Boris Karloff as the mysterious Mycroft, 1955. The Man Who Disappeared - John Longden as Sherlock, 1951. A Case of Hypnosis - Prof. Lightskull the chimpanzee! 1952. Strange Case of Hennessy - Cliff Edwards as Silo Dance, 1933. The Speckled Band - Alan Napier as Sherlock, 1949. The Copper Beeches - Georges Treville, 1912, with special musical score. Man With The Twisted Lip - Eille Norwood, 1921, with special musical score. The Screaming Bishop - Hairlock Combs cartoon, 1944. Bonus Film starring Basil Rathbone as an army officer in The General's Boots from 1954. Sherlock Holmes creator Sir Arthur Conan Doyle is one of ten British individuals honoured with a stamp by the UK's Royal Mail this week. Sir Arthur Conan Doyle shares the distinction with Fred Perry, Henry Purcell, Sir Matt Busby, William Gladstone, Mary Wollstonecraft, Donald Campbell, Judy Fryd, Samuel Johnson and Sir Martin Ryle. A variety of first day covers, stamp sheets, stamp cards, etc...of the Eminent Britons series can ordered through any good philatelic supplier or directly through the Royal Mail Online Shop, which ships internationally. Click here to visit the Royal Mail Shop now. For more information on Detective Fiction Character and Author stamps check out this Detective Fiction on Stamps site. Known for releasing similarly named or near knock-off variations of current blockbuster titles (Transmorphers, Terminators, The Day the Earth Stopped, etc...) it should come as no surprise that The Asylum is taking aim at exploiting the expected popularity of Guy Ritchie's forthcoming big-screen release SHERLOCK HOLMES. The Asylum indicates a DTV release date of January 26, 2010 for their film, creatively titled SHERLOCK HOLMES. Shot on the cheap in Wales, the film features Ben Snyder (erm..who?) as Sherlock Holmes, Gareth David-Lloyd (Torchwood) as Watson with Dominic Keating (Enterprise) along, presumably as Spring Heeled Jac k...who looks decidedly like a steampunk take on Iron Man. Got to hand it to The Asylum for managing to knock-off two Robert Downey films in one go! 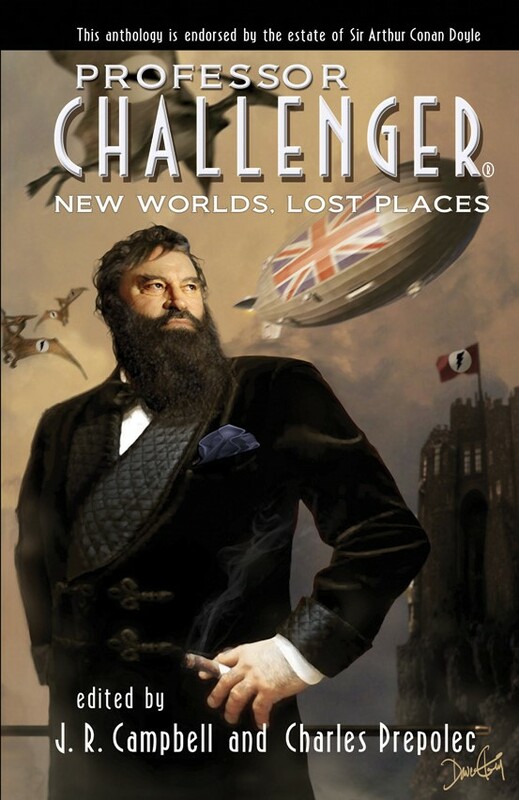 "Sir Arthur Conan Doyle's famous detective faces the ultimate challenge when enormous monsters attack London." A&E Home Entertainment will be releasing all 5 existing episodes ( the BBC wiped the rest in an economy drive) of the 1968 BBC Sherlock Holmes series starring Peter Cushing and Nigel Stock as Holmes and Watson to Region 1 (North America) DVD in December 2009. The boxed set is comprised of: The Hound of the Baskervilles (parts 1 & 2), The Sign of the Four, The Blue Carbuncle, A Study in Scarlet and The Boscombe Valley Mystery. Click here to pre-order the set from Amazon USA. Cushing is a fantastic Holmes and, to my mind, his performance in this series marks him as one of the great interpreters of the role. While I loved his work in the 1958 Hammer film version of THE HOUND OF THE BASKERVILLES, he's far less frantic and even better in the BBC series. Nigel Stock is a staunch, loyal and largely convincing Watson. The chemistry between Cushing and Stock is apparent and the two actors play off of each other beautifully. The two-part HOUND rates as one of the most faithful versions ever produced for film or television. A definite 'must have' for North American Sherlock Holmes fans. Highly Recommended! The fifth and final issue of Dynamite's SHERLOCK HOLMES series The Trial of Sherlock Holmes comes to its conclusion in the fifth issue which reaches comic book stores on October 7, 2009. Story by Leah Moore and John Reppion with interior art by Aaron Campbell and a cover by John Cassaday. "The acclaimed mystery from Dynamite concludes. Can the world's greatest detective unravel his greatest mystery? Find out in the conclusion of "The Trial of Sherlock Holmes !" A hardcover edition collecting the 5 issue SHERLOCK HOLMES: TRIAL OF SHERLOCK HOLMES series will be released shortly (October/November). 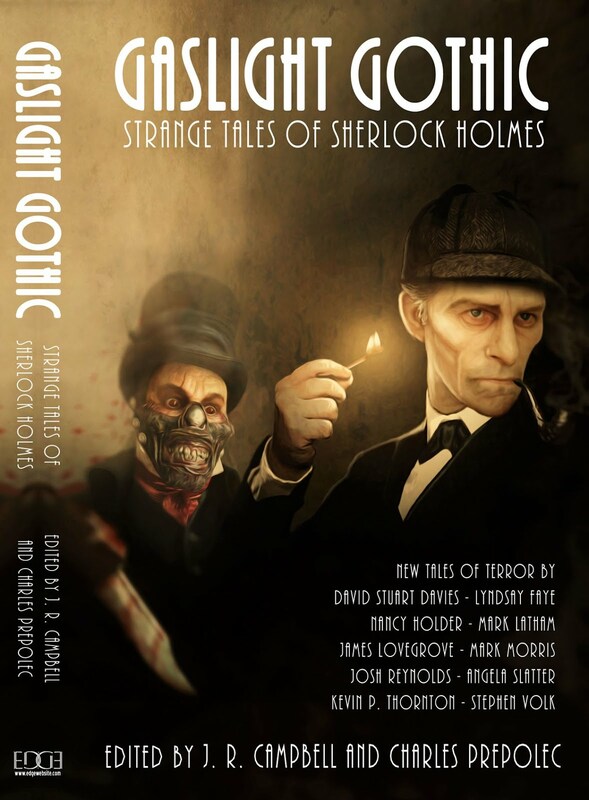 The hardcover contains bonus material such as script pages, annotations, an essay by Les Klinger, a cover gallery, and a complete Sherlock Holmes short story by Arthur Conan Doyle with new illustrations. To pre-order the hardcover visit the Baker Street Dozen Sherlock Holmes Amazon shop here.